British Horseracing Authority chief executive Nick Rust admits the six-day shutdown of racing will have cost the industry millions – but insists he “absolutely stands by the decision” with meetings set to resume on Wednesday. The BHA announced late on Monday night that racing would restart after cancelling all events in the wake of positive tests for equine flu at Donald McCain’s Cheshire yard. Six horses trained by McCain were affected by the virus, with a further four at Simon Crisford’s Newmarket stable also testing positive on Sunday, but racing will now resume with measures in place to help prevent further cases. The BHA faced widespread criticism for the decision to cancel 23 race meetings – but Rust is adamant there were no real alternatives. “We think probably several million a day,” he told Press Association Sport when asked how much the shutdown had cost the racing industry. “But first and foremost we were focused on what would the disruption be for the animals – we have got to look after the health of the animals. “We put our hands up when we make errors and we are pretty self-critical where we feel there needs to be improvement from ourselves. “On this one, faced with the evidence we had, who would have taken the risk with that for the health of horses and the future of racing? 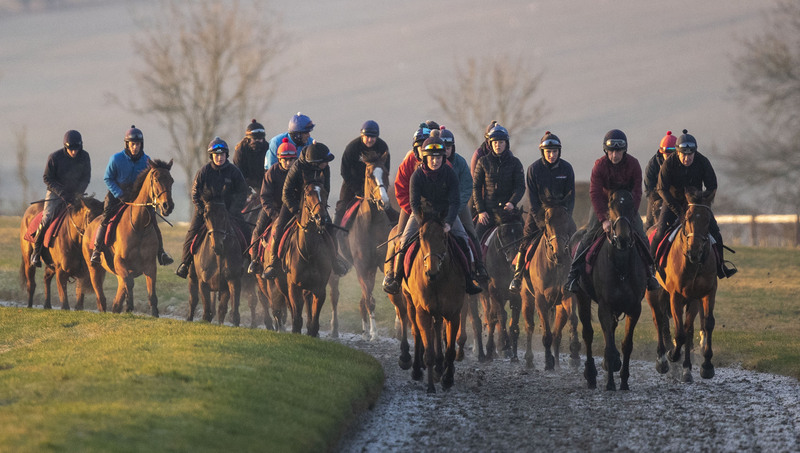 “We have a veterinary committee drawn from across the industry, the BHA has got 20 employed vets, the vast majority of our staff worked in racing – if you cut us open, like a stick of rock we have ‘we love racing’ through us. Asked specifically about the criticism aimed at Rust and his colleagues for making the difficult call, he added: “We have seen lots of people with opinions on social media and that is great, that is the way of the world. “Some has been amusing, some has been ill-informed and some has been right on the money as far as we are concerned. “We have horses dying who are not vaccinated, so if we had a situation where the symptoms are lasting longer and are more difficult than we’ve seen with equine flu in the past, why would you take risks with that? “I described it as Russian roulette and I would still say that – everyone can be as wise as they like afterwards, but they are only wise now because we took the action and got a full picture. Racing will now take place at Kempton, Musselburgh, Plumpton and Southwell as planned on Wednesday, but strict biosecurity measures will be in place. Those measures include a declaration form confirming there have been no symptoms of flu and that a temperature check has been completed. Only that, together with a horse passport showing an inoculation from within six months of the race meeting, will allow horses to be unloaded at a racecourse. “If you have not been vaccinated in the last six months, you cannot go racing,” added Rust. “That will mean there are some horses that are not eligible to run over the next few days – we have a situation where, when you have had a vaccination, for good reasons you still cannot run within a week. “I’m sure there will be some challenges and disappointments for trainers where horses need inoculation.